SRA Home Products is pleased to install premium sunroom additions at homes throughout Lower Merion Township, Pennsylvania. We’re a second-generation family-owned and -operated company that’s been serving local homeowners since 1988, during which time we’ve remained committed to achieving our goal of full customer satisfaction. 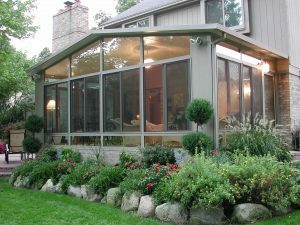 We exclusively install sunroom additions manufactured by TEMO, a national leader in the outdoor living industry. We also install sunroom additions from TEMO’s Nino Vitale Signature Collection. With options such as matching brickwork and siding, coordinating roof styles, optional knee walls, and more, these sunrooms can be fully customized to match the architectural style of your home. Plus, our sunroom additions can be even further customized to fit your preferences. You can select the color of your sunroom (white, sandstone, or bronze), as well as the type of windows to be included (prime window or window wall). And, if you desire additional UV protection, you can choose to upgrade TEMO’s HPG 2000 glass (which is four times stronger than annealed glass!) from SPF 59 to SPF 85. For more information about the top-quality sunroom additions we offer in the Lower Merion Township, PA, area, please contact SRA Home Products today. We’ll be happy to answer any questions you may have about our product selection and installation services. We look forward to helping you choose the sunroom that’s perfect for your home.